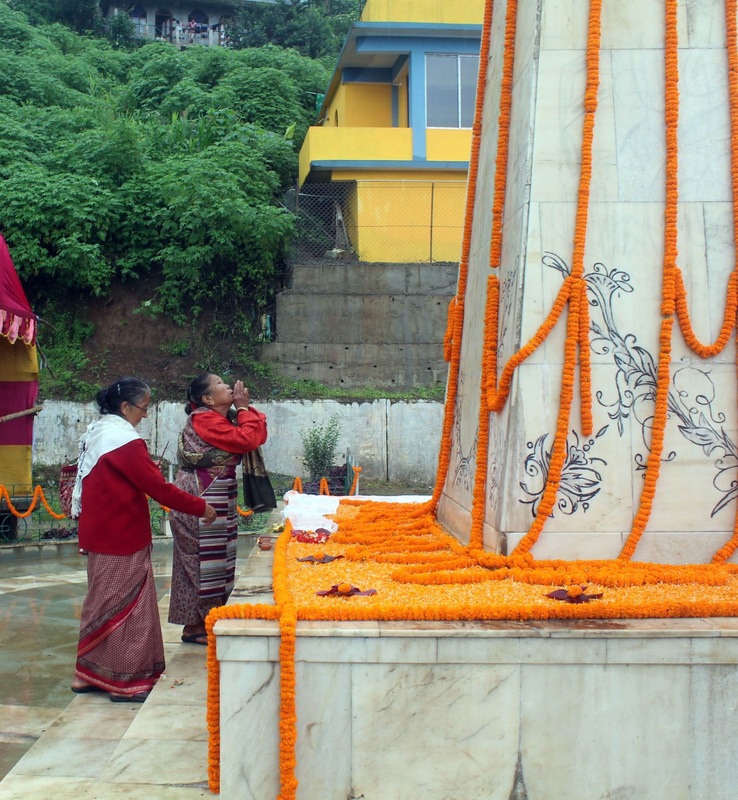 Amidst heavy downpour and attendant problems, hill people and political parties observed Shahid Diwas across Kalimpong today. The day was marked by political parties according to their own interpretations. Gorkha Janamukti Morcha (GJMM) marked the day by organizing a memorial programme at Shahid park at 11th Mile. Similarly, Gorkha National Liberation Front (GNLF) staged a function at Town Hall. Communist Party of Revolutionary Marxist (CPRM) staged a memorial service at its party office premises in Sadobato. GJMM leaders and supporters were seen offering khadas (scarve) at Shahid Memorial in the park paying homage to the martyrs of the statehood demand agitation since the 1980s. general secretary Kumar Chamling, president Norden Lama, central committee members including Sabhasads, municipality councilors and party supporters. The GJMM also felicitated the family members of the statehood martyrs. to fight for the statehood demand and delivering it would be the greatest way to honour the sacrifices made by the martyrs. Similarly, GNLF observed the day at Town Hall where large number of party leaders and supporters were noticed taking active participation. The gathering recited Gorkali patriotic songs and paid homage to the martyrs by offering khadas. GNLF Kalimpong committee president Maurice Kalikotay said that the day is significant as it is to honour the sacrifices madeby the Gorkha people for their birthright of statehood. “We should never forget the contribution made by the martyrs for Gorkhaland and the Gorkha identity, ” he added. The newly formed JAP observed the day at Trikone park.party president Harka Bahadur Chhetri offered flower and khadas as a symbol of paying respect to the martyrs. JAP also held a meeting at Trikone Park where Mr Chhetri said that GJMM has no right to observe the day as the party supported the CPI-M in the recent election.He blamed the latter for the 1986 massacre.He demanded enquiry into the infamous assassinations carried out three decades back. Meanwhile, posters of Gorkhaland Rajya Nirman Morcha and CPRM about the significance of the day were noticed at Damber Chowk this afternoon. 0 Respones to "Various parties observes Sahid Diwas, Gorkhaland martyrs remembered"